A loan of $550 helped to buy materials like thread, needles, chalk, etc., for her tailoring business. Evelina is a 58-year-old married woman with five children (one child is in school). She is a very hardworking entrepreneur. Evelina has a tailoring business in the Philippines. She has been in this business for 30 years. 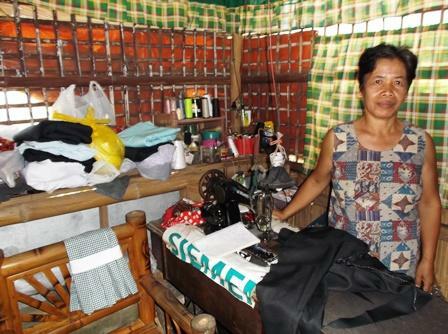 Evelina requested a 24,000 Philippine peso loan through Negros Women for Tomorrow Foundation in order to buy materials like thread, needles, chalk, etc., for her tailoring business. In the future, Evelina would like to save money to expand her business.